Arrow Sewing Cabinets: Our Friday 3/9 Winner! Hey everyone! We hope you all had a great weekend, we sure did! Since we bombarded you with so much info on Friday, we thought we'd give you a little break and post the winner today. 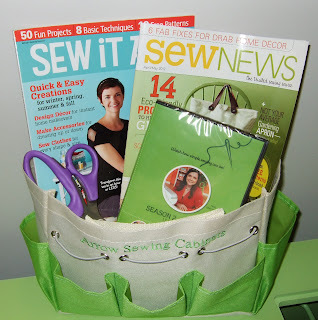 Remember this bag o' goodies we were giving away? Well, it's going out to Beverly Loomis from Ithaca, MI. Congratuations Beverly, we will be in touch! 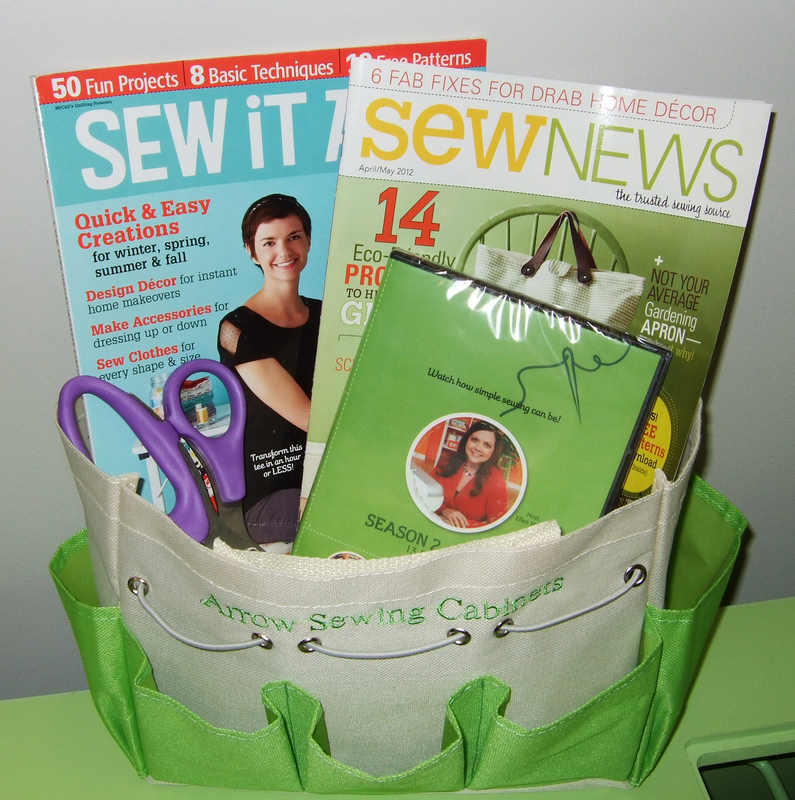 If you didn't win, don't worry - we're very close to giving away a Sewnatra sewing cabinet! Once we hit 7500 likes, we'll pick a lucky winner. Only a little over 100 likes to go, yippee! Congrats Bev. Arrow I cannot find a stand alone cabinet that holds lots of spools of thread. I would love one that matches my sewing table (Arrow of course). Do you make one? I need it to hold like 100-200 spools. Help!! !